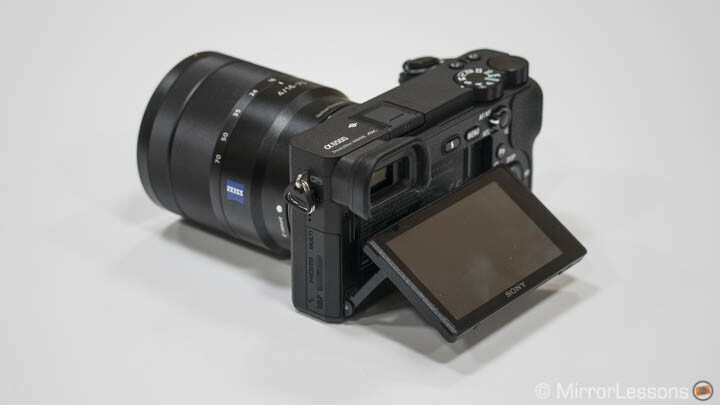 Sony announced its new flagship APS-C camera, the a6500, a week ago and we had the chance to see a pre-production version at the Sony Europe headquarters in Weybridge. We couldn’t bring back pictures or video footage but spending a few hours with the new camera gave us an idea about its new features and the little upgrades in design and function. 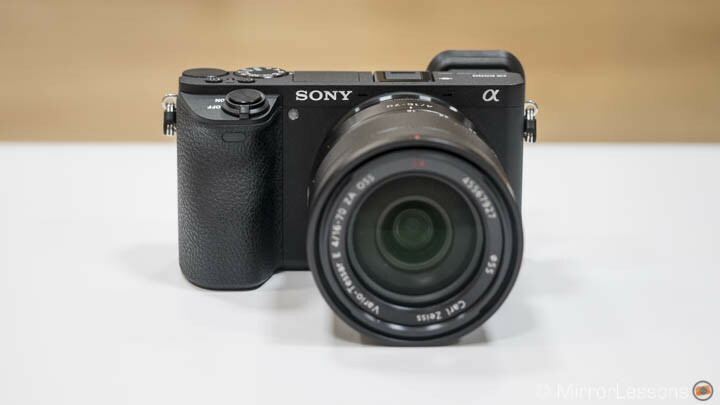 Most importantly, it gave us the opportunity to reflect on its rightful place as the flagship APS-C model and Sony’s aggressive strategy with its frequent camera releases. The design is almost identical to that of the a6300 – in fact the two cameras look like perfect twins. 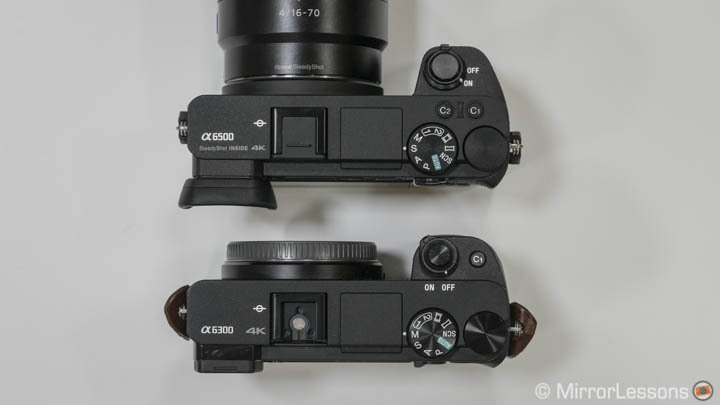 The only relevant difference is the more prominent grip of the a6500. It promises to improve the ergonomics with longer lenses and it does indeed feel more comfortable than the one of the a6300. The buttons and dials have been enhanced for a better tactile experience, though I personally didn’t feel much of a difference. On top you can find an extra custom button which is always a welcome addition. 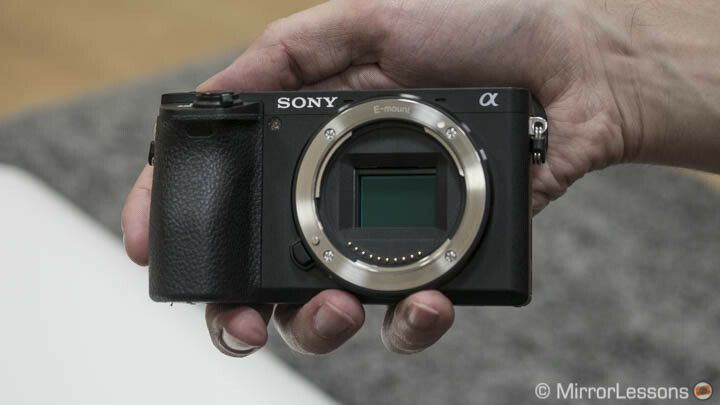 The a6500 finally comes with a touch screen, something that had been reserved for the a5100 up until now. Touch sensitivity allows you to change the position of the focus point when composing with the rear monitor or with the EVF. You don’t need to select the Centre or Flexible Spot area. Even when using the Wide or Zone areas, you can touch the screen and instantly switch to the single point. Press the control wheel centre button on the rear and you go back to the Area mode selected in the first place. You can use the touch screen while recording movies too. I found the reactivity, speed and precision to be excellent. One thing I noticed is that the rectangular shape that represent the focus point is thin and grey. As such it is difficult to see against dark or light backgrounds. It is only when half pressing the shutter button that the point becomes green for a few seconds (AF lock confirmation). Sony should use a more vivid colour so that you can easily see if the focus point is exactly where you want it to be. When composing with the EVF, you can use the rear monitor as a touch pad to change the AF point. The reactivity is good but there is a tiny lag. The a6500 introduces a re-designed menu system which is something we have been requesting for quite some time now. I am not yet sure if I like it or not but it does appear a little more organised. The new menu still has six main sections but instead of the camera and gear icons for the first two, there are now two camera icons with the numbers 1 and 2. Each page inside the six main sections displays a title on top while the page number has been moved to the right side. For example the movie settings are found in Camera Menu 2 and have the title Movie1 and Movie2. This should help you to understand if you are on the right page when looking for a specific setting (before you only had the page number as a reference which was more confusing). Custom operation (page 8 to 9). The other four main sections (Wireless, Application, Playback and Setup Menus) look more similar to the previous interface. The grouping of some settings seems to follow a more logical order: for example you will find entries such as File format and AF settings for video (AF Drive Speed and AF Track Sens) one after the other. However I still find the overall order not intuitive enough. Why not put Color/WB/Img Processing next to Quality/Image Size? Why not group all the settings related to image quality under a main section and have another one for all the autofocus and drive settings? Scrolling though 14 pages in a single menu is still time consuming. The sensor has the same characteristics as the one found inside the a6300: 24MP of resolution, a thinner copper wiring that allows for more light gathering and 100 to 25600 ISO sensitivity with an extended 51200 value. However there is a new front-end LSI chip where LSI means Large-Scale Integration: it is a micro chip that contains thousands of transistors. This new hardware addition allows the camera to have more buffer memory when shooting in continuous mode with JPG or RAW. In my quick test, I was able to shoot in JPG X.Fine quality at 11fps for about 23 seconds before the camera slowed down considerably. With RAW, it lasted for about 10s. This is more than double the rate of the a6300. If you try to shoot uninterruptedly for as long as possible, the writing time on the memory card will rise significantly. For my sample, it took almost 1 minute to finish everything and in the meantime, you can’t access the menu and change settings. This can vary depending on the speed of your card but keep in mind that the a6500 is not compatible with USH-II. What is more interesting about these enhanced buffer capabilities is that you can take short bursts one after the other and the camera should be able to keep shooting for a long time. 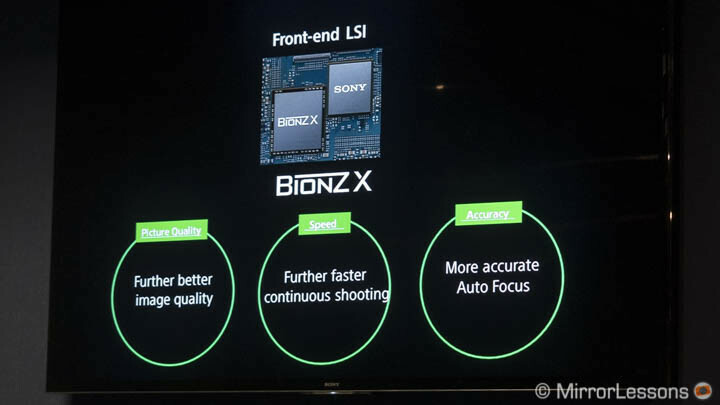 The new LSI chip should also improve details and noise at high ISOs (in conjunction with the Bionz X image processor) but of course we’ll have to wait for a final production sample to verify how relevant this improvement is. One of the major upgrades in comparison to the a6300 is 5-axis stabilisation, which is a first for a Sony APS-C camera. 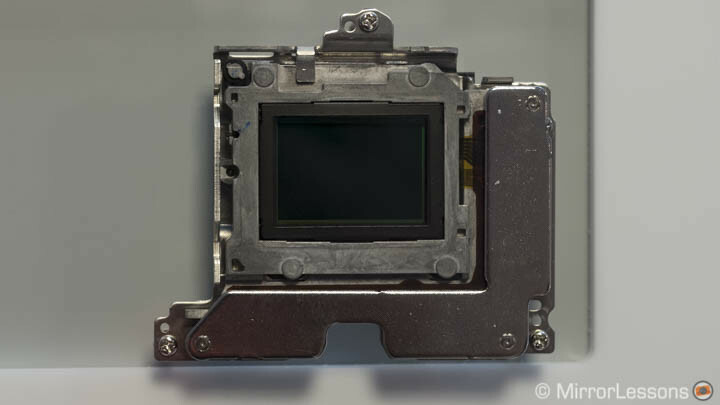 It has a newly developed sensor shift mechanism and should provide 5 stops of compensation for stills. It is effective for video as well. 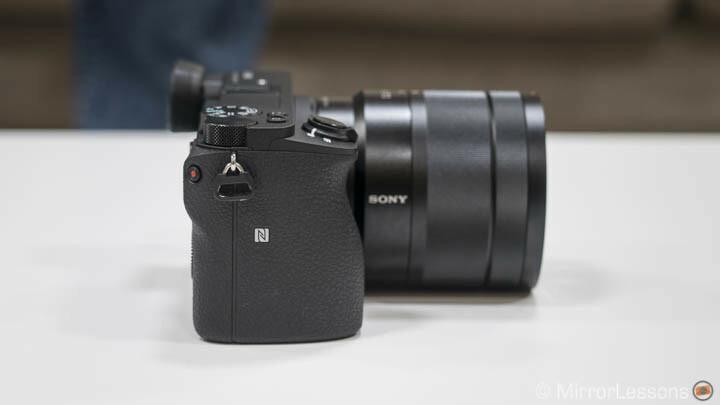 The system works exactly like the 5-axis shift on A7 II cameras. 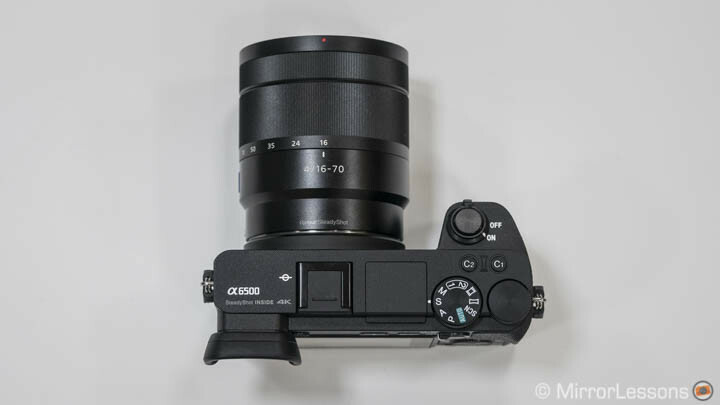 The a6500 uses 5 axes with E-mount lenses that have electronic contacts and can transmit EXIF data or 3 axes with adapted or native lenses that lack electronic communication. With E-mount lenses that feature optical stabilisation, 3 axes are used on the sensor and 2 axes on the lens. The latter is also valid for adapted A-mount and EF-mount lenses (as long as you use an electronic adapter). The shutter unit is new and a little smaller, which makes room for the 5-axis stabilisation mechanism. The new shutter is tested for 200,000 cycles. The autofocus system is exactly the same as the one found on the a6300: 425 phase and 165 contrast detection points with 4D Focus technology and High Density tracking. It seemed to be as fast its predecessor for stills and video in my tests. The camera can shoot 4K up to 30fps. 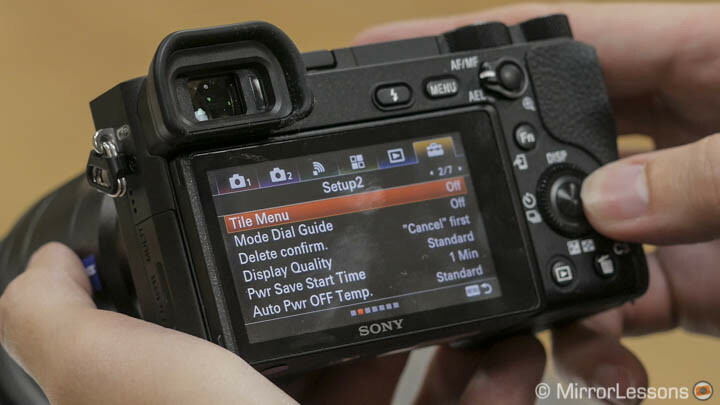 To fix the overheating issue that many a6300 users complained about, Sony added a new setting called Auto Power Off Temp. You can choose between Standard and High. If you select the latter, the camera will shoot for a longer period of time (and get warmer) before interrupting the recording. With the Auto Pwr OFF Temp. setting (bottom), it will be less likely that recording will stop due to overheating. So, a long story short, the a6500 is more tolerant of high temperatures but the overheating is not gone. We have yet to see how long this High setting will last but according to Sony, you should be able to record two 29 minute clips one after the other. 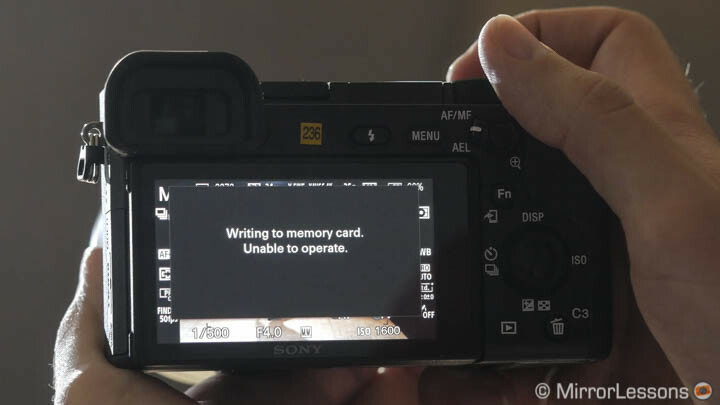 With our a6300 we experienced overheating after 10/15 minutes but we also successfully recorded for 29min straight which means that the issue doesn’t present itself all the time. It can also be related to the location and the external temperatures you are working in. 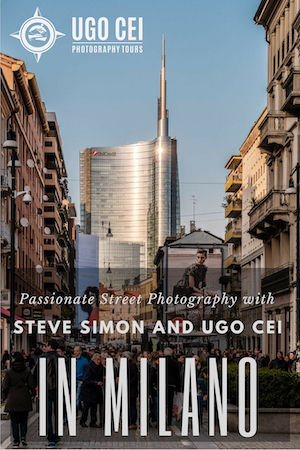 My guess is that with the a6500 you have more control over when the camera decides that the temperature is too hot while on the a6300, you have no say. 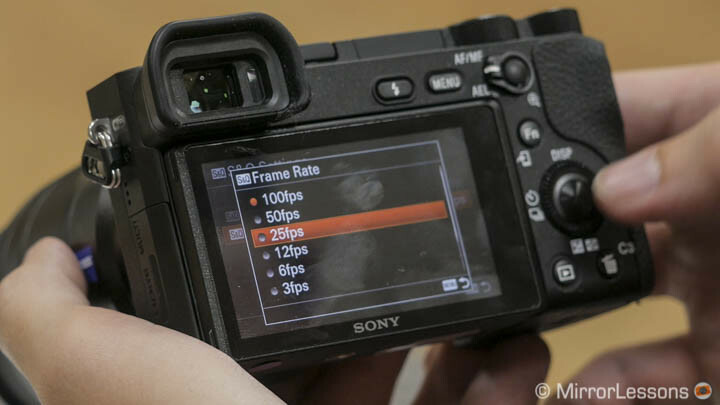 What is interesting however is that this new setting seems to be purely a software fix, so hopefully Sony will be able to bring it to the a6300 as well. In Full HD, the new camera can record up to 100fps (PAL) and 120fps (NTSC). 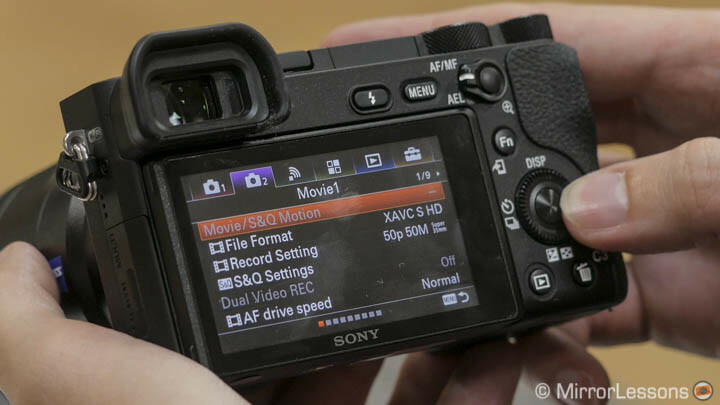 It has a new Slow and Quick mode: you can set the frame rate between 1fps and 120fps (8 steps available) and save the file directly in quick or slow motion at 24, 25 or 30fps. A new function called Photo Capture allows you to save a 4K or Full HD frame as a JPG image (8MP and 2MP respectively). To access it, you need to go into the playback menu, select Photo Capture, then start to look for the frame you want. I didn’t find the operation as smooth as it is on Panasonic cameras and I had to repeat the operation a couple of times to save the frame I wanted. The announcement of the new a6500 came as quite a surprise given that the a6300 was released only 8 months ago. 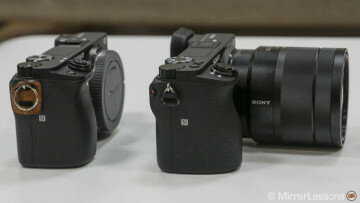 Sony states that it is not a replacement but rather a higher end model, and for this reason, there are a few more things I would have expected. I am about to repeat what we already wrote for the a6300 that just a few weeks ago was considered the flagship APS-C E-mount. The design is great in terms of compactness and weight but for advanced shooting there are still aspects about the ergonomics and ease of use that need improvement. This is even more important now that this camera targets professional users (wildlife and sports photographers in addition to videographers). Why not re-think the design a little to accommodate a Dual SD card slot, more exposure dials (on top or out front) and better ergonomics? It would be nice to have a dedicated AF joystick instead of having to use the control wheel on the rear, which isn’t as intuitive or quick. Last but not least, a larger body could have also meant a larger battery. 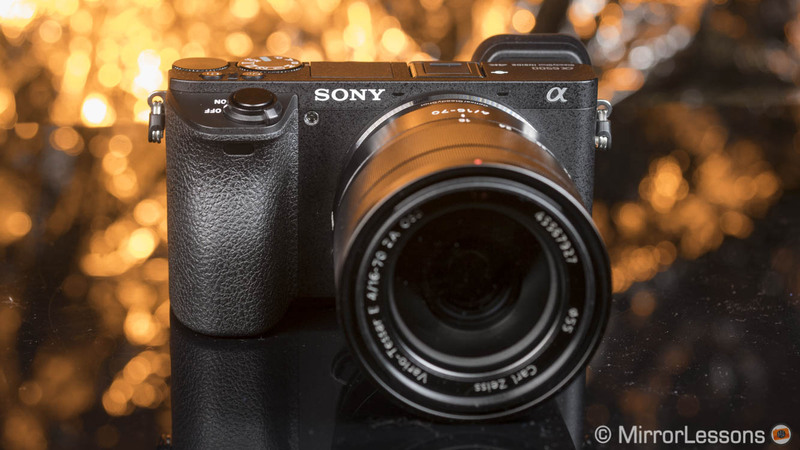 If the a6300 is anything to go by, the a6500 will probably be the best Sony APS-C camera to date when it comes to performance, so why not go that extra mile to enhance everything at the same time and make it a true flagship camera? Sony showed us that they listen to customers but I have the impression that they do it at a slower pace than other brands and prefer to prioritise the technical aspects above the design and ergonomics. Yes, we now have 5-axis stabilisation on an APS-C body, a touch screen and a re-designed menu system, but what about the rest? I can’t help but think that waiting a few more months could have allowed Sony to make even more improvements. And of course, that tiny doubt that remains: is there already an a6700 or a6900 on the horizon? 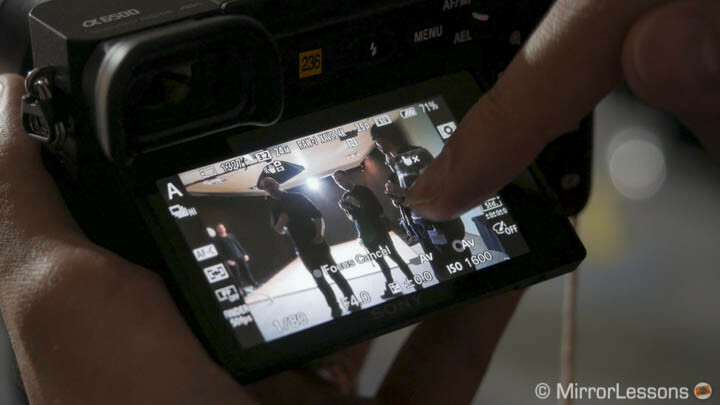 Below you can check out our hands-on video from the Sony Europe event!